We all know the obvious, selfies are here to stay! So why not make the best out of them? Shutterfly’s guide offers tips on how to capture a great selfie that’s worth sharing. It teaches you everything from how to find the best lighting to giving your picture that little extra oomph before posting. Follow these tips, capture your selfie, and share it! The selfie is like an epidemic in the social media world. Everyone from celebrities to your friends are engaged in it. Selfie is a type of photography where the photographer is also a subject of the photo. Tons of selfies are produced and shared through social media each day. Some selfies are extreme close-ups while others show part of an arm held straight outward. A few of the great ones even feature the subjects standing in front of a mirror so that they can capture their reflection. 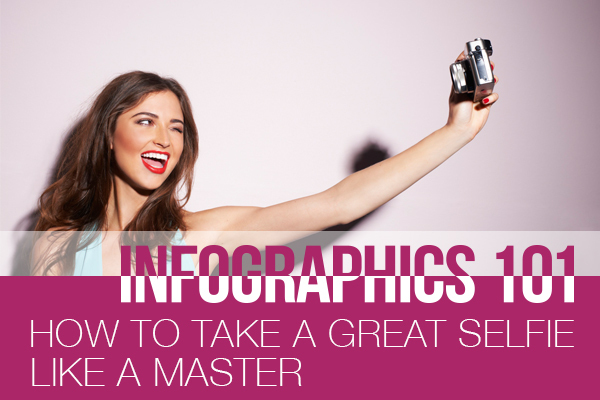 So, read this guide in the form of a crazy-cool infographic to capture your own great selfies! This infographic is provided to you by Shutterfly, the leading online provider of photo books, cards, photo sharing and more. Author’s Bio: This post was written by Shutterfly. Helping you share the memories you love most through photo books, cards, home decor, and so much more.